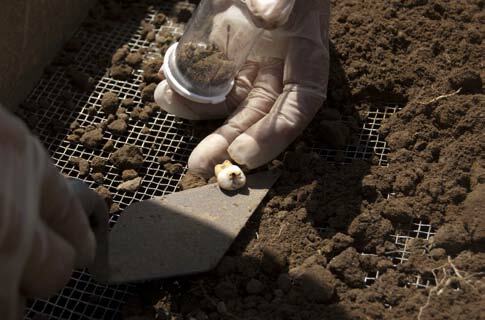 Spring is upon us with the full, sunshine force of California’s glorious climate. 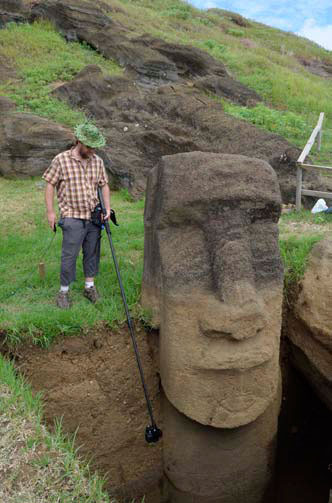 I thought you might like to know that we are making good progress on the production of our publication project, the “Easter Island Atlas.” We are, in a way, victims of our own success…so many of our archaeological colleagues in Rapa Nui research have honored us by sharing their field notes and image files for inclusion in our EISP Datashare project that we are literally “digging out” from under a mountain of data. 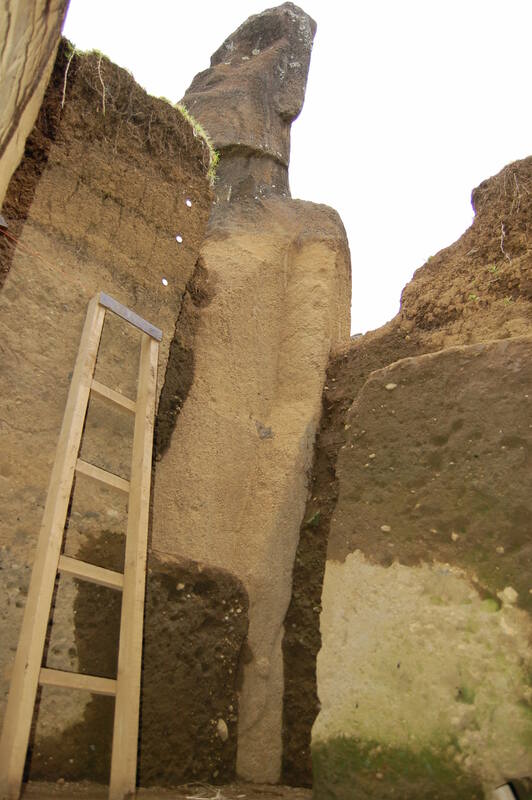 But the exciting part is that we are finally seeing the more complete picture that frames the monolithic moai achievement. 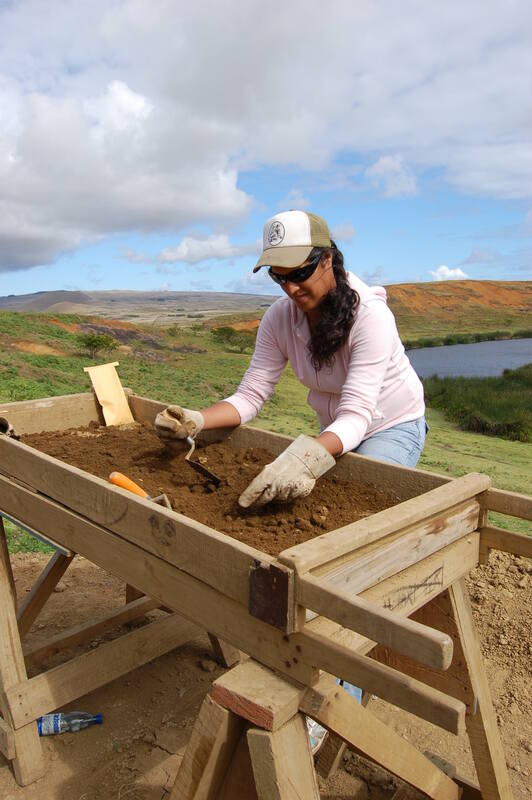 Data on agriculture, excavations, water management, architecture, and much, much more are being filed and then compiled into a comprehensive archaeological taxonomy. 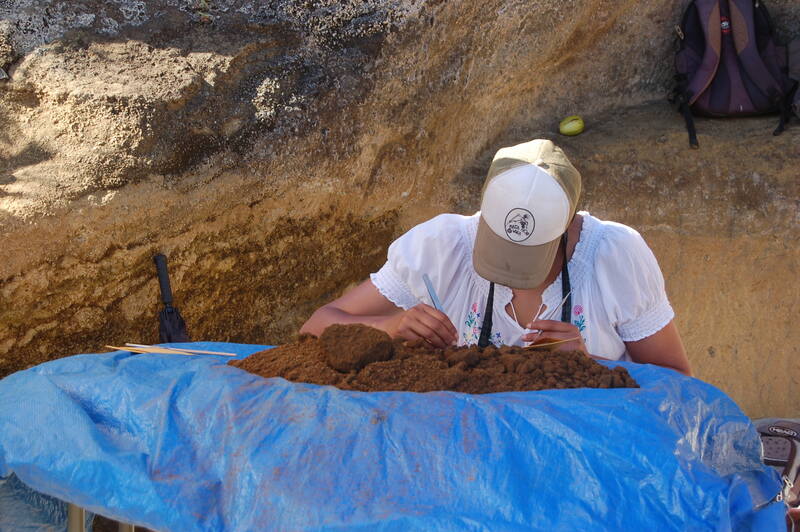 I know it sounds daunting but is also very, very interesting! 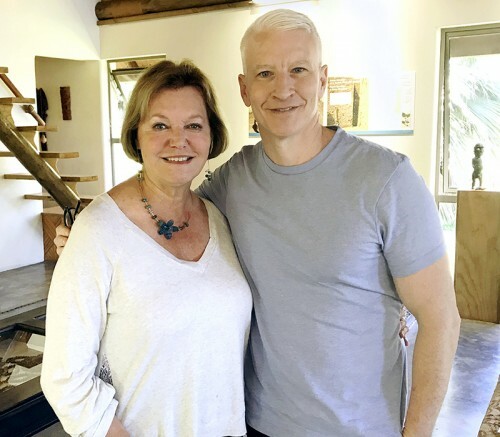 For your viewing pleasure on Easter Sunday, April 21, CBS 60 Minutes will feature a segment I filmed on the island with Anderson Cooper in November. 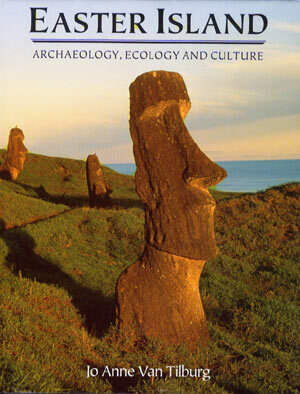 It tells a fascinating story of the many challenges and triumphs of the ancient Rapanui culture. 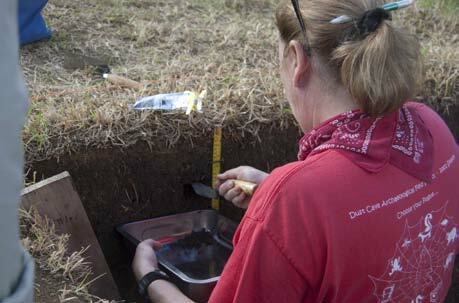 It features our project and its focus on community archaeology. 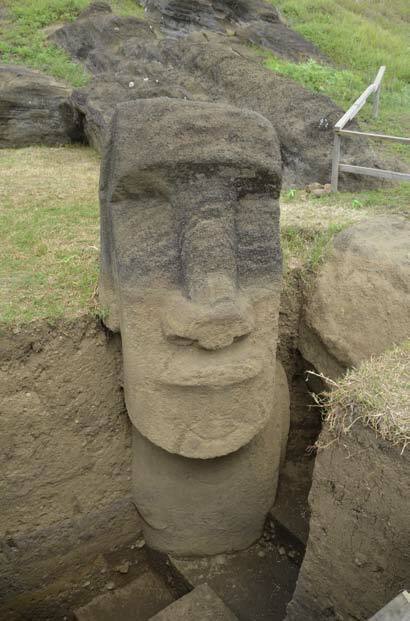 “Easter Island’s famous moai statues slowly fading away”, CBS 60 Minutes with Anderson Cooper, April 21, 2019. 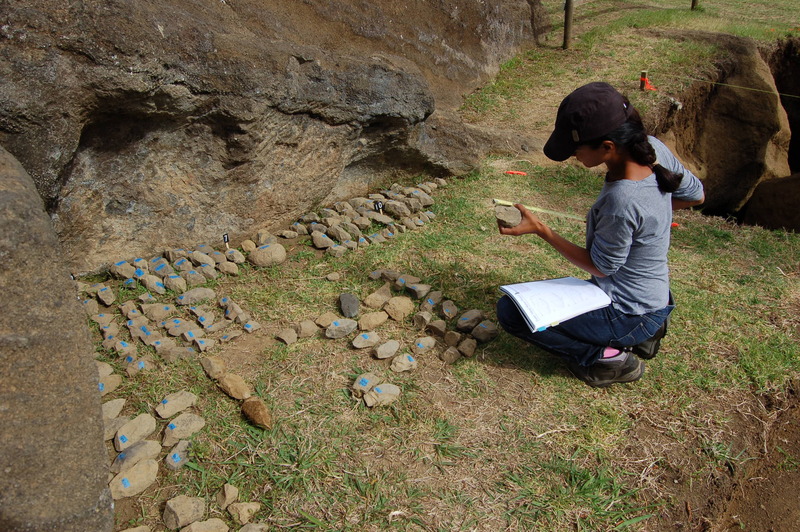 This report is prepared as part of a numbered series that describes the excavations conducted by the Easter Island Statue Project in Rano Raraku Quarry Zone, Interior Region, Quarry 02, Statues RR-001-156 and RR-001-157. 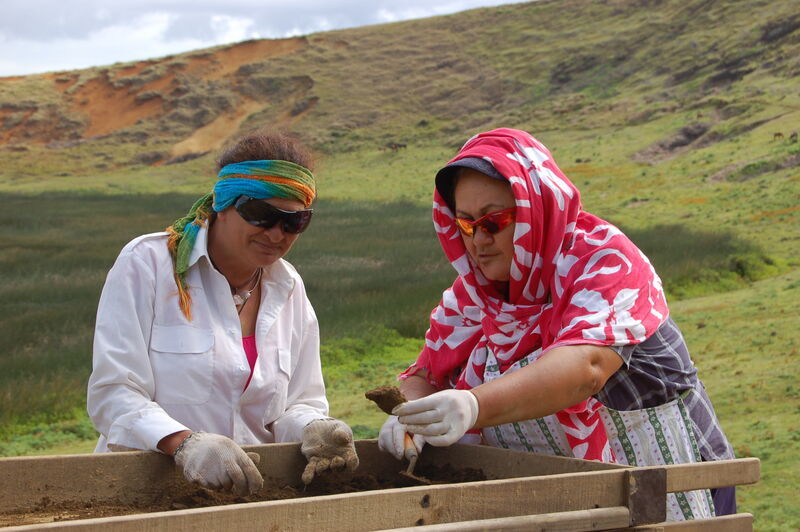 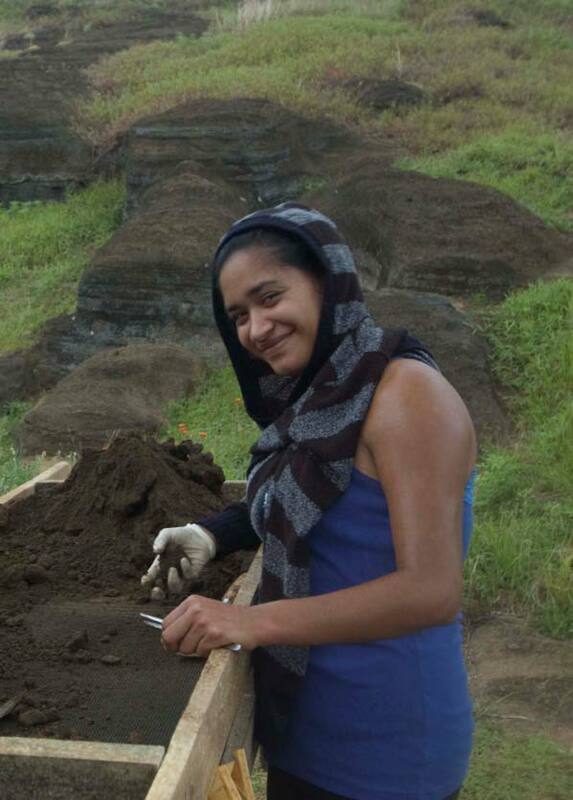 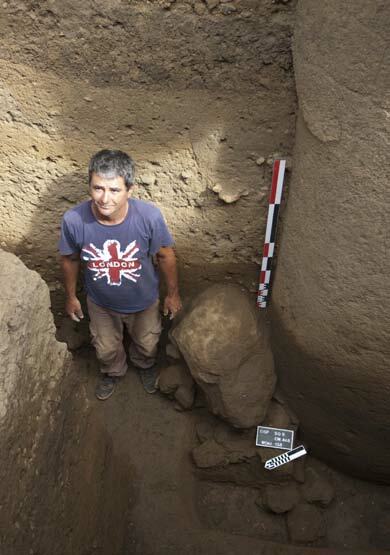 The team is composed of an all-Rapanui excavation staff directed by the project Co-directors. 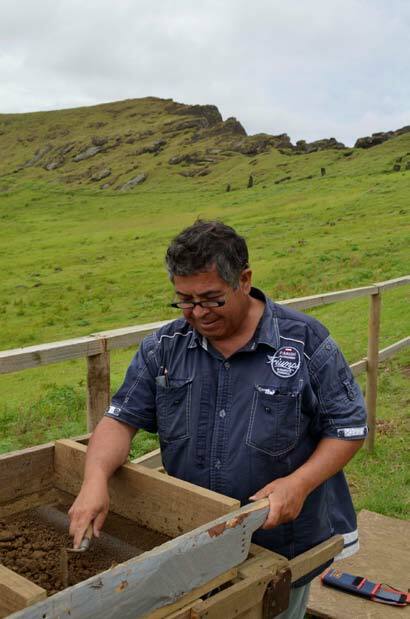 With the completion of the conservation and scientific investigations conducted by our Chilean collaborator, Monica Bahamondez P, and our UCLA collaborator Dr. Christian Fischer, we were joined this season by our new Chilean collaborator Sr. José Miguel Ramírez A., Universidad de Valparaíso. 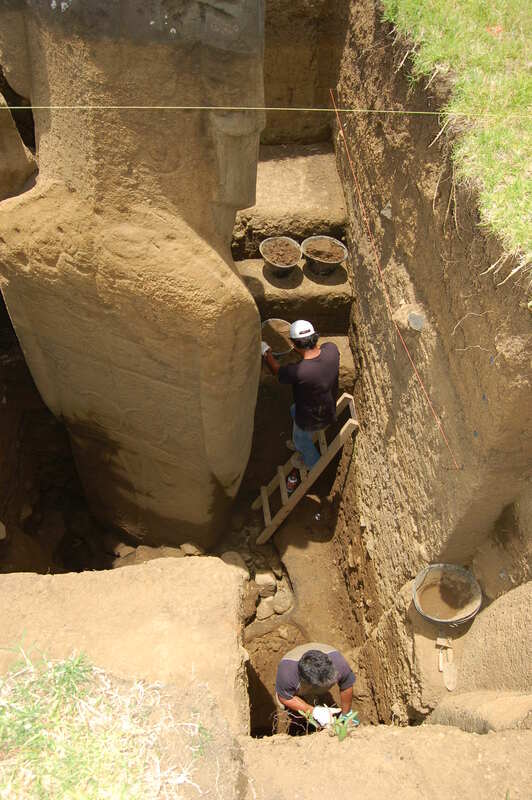 Our research agreement is contained in a Memo of Understanding between the Universidad de Valparaíso and the Cotsen Institute of Archaeology at UCLA. 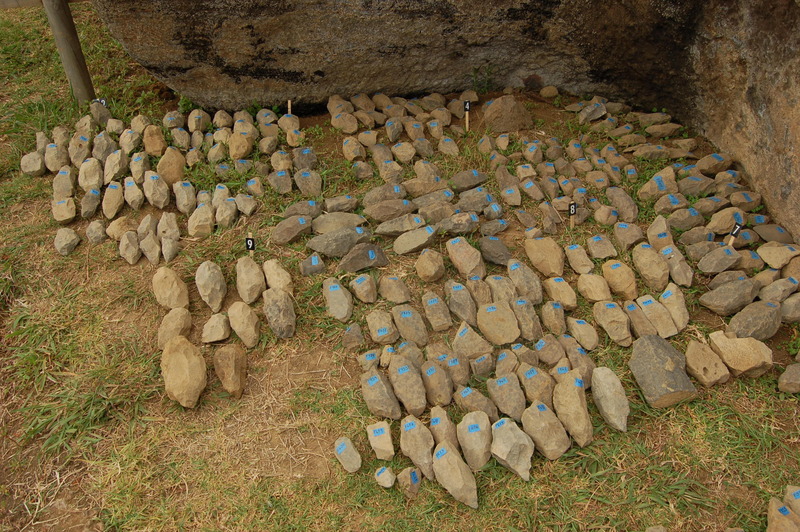 This report summarizes our collections and investigations for the period beginning Monday, March 10 and ending Monday, March 14, 2014. 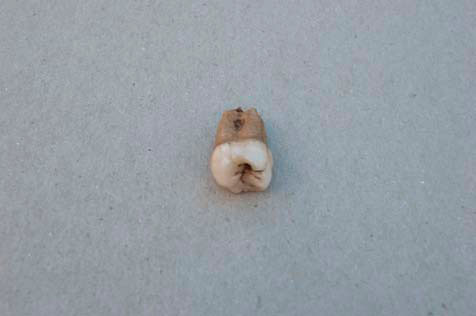 This report is part of a preliminary final report that includes some but not all of our in-process laboratory test results and collections analyses, as per our permit CMN ORD 5467-09. 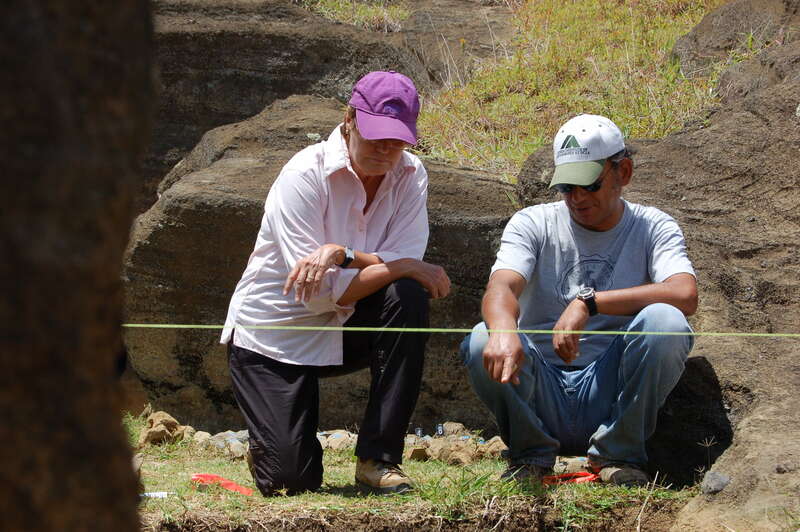 A final report will be published in 2015-2016 by the The Cotsen Institute of Archaeology Press. 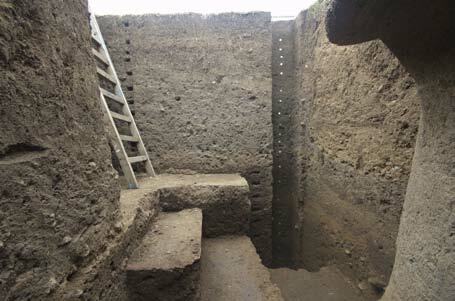 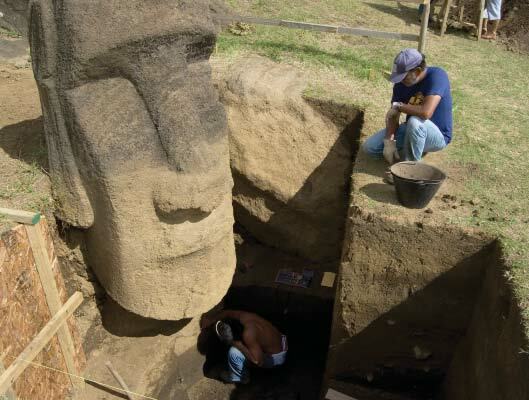 Posted on October 28th, 2014 by Jo Anne Van Tilburg, Ph.D.
Jo Anne Van Tilburg and Cristián Arévalo P.
This report describes recent excavations beginning Phase 2 of the project and concentrating on the ventral side of Moai RR-001-156. 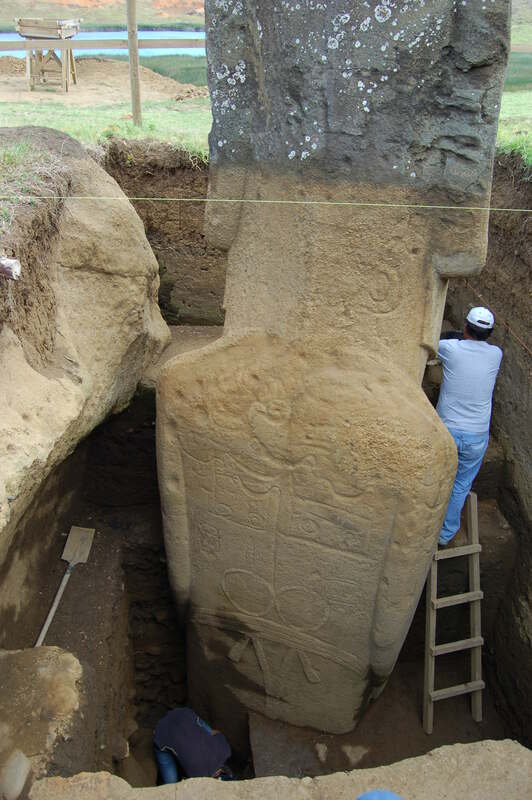 These excavations are a continuation of limited excavations conducted on the ventral side during Phase 1, which focused on reaching the base of the statue on the dorsal side. 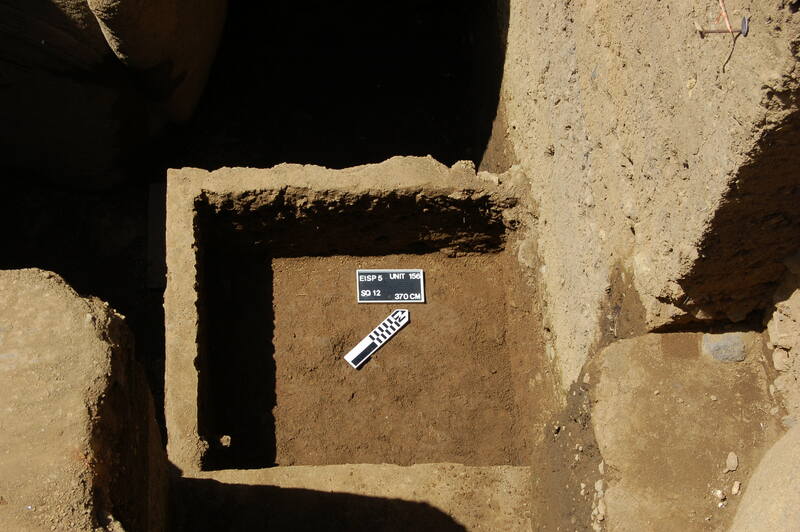 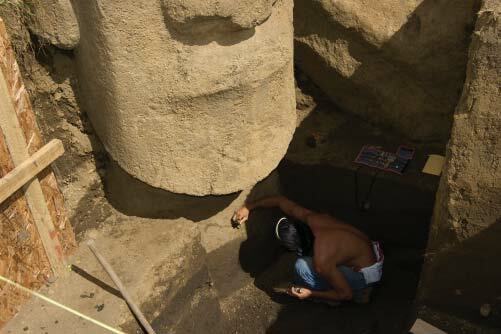 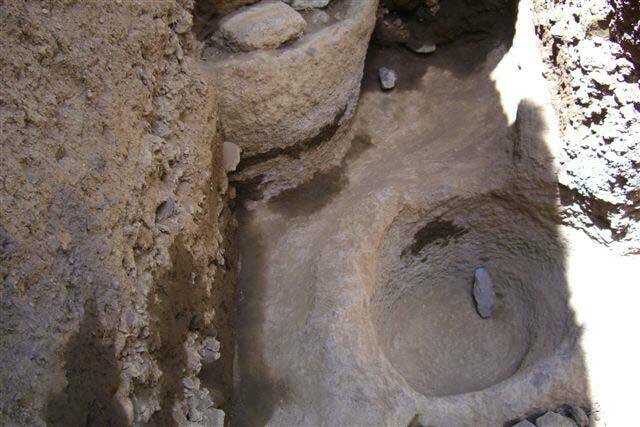 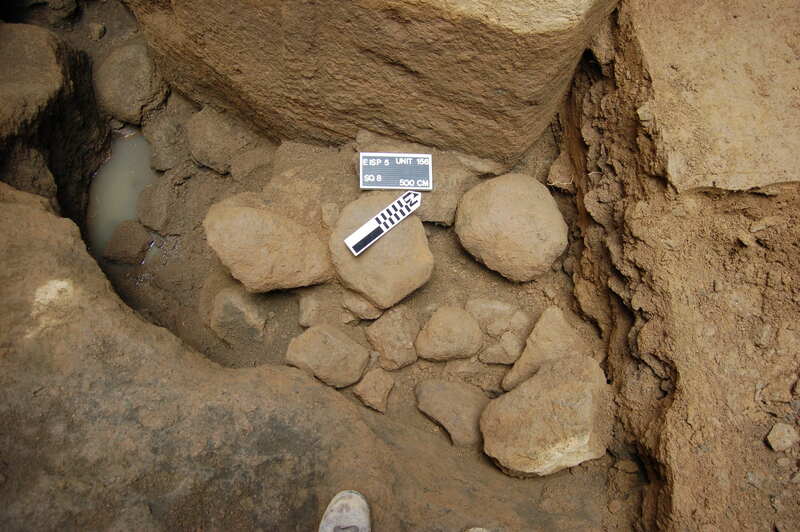 The excavation season commenced on August 6, 2013 and actual excavation ended on August 29, 2013. 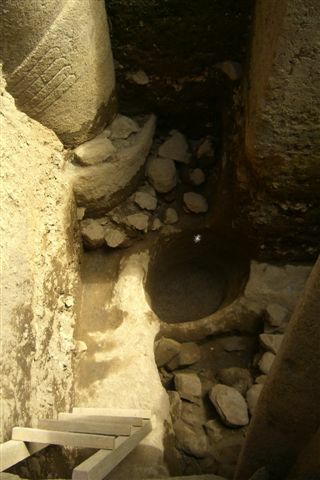 The excavation was subsequently closed to protect it from heavy rains and with the help of personnel from CONAF and CMN. 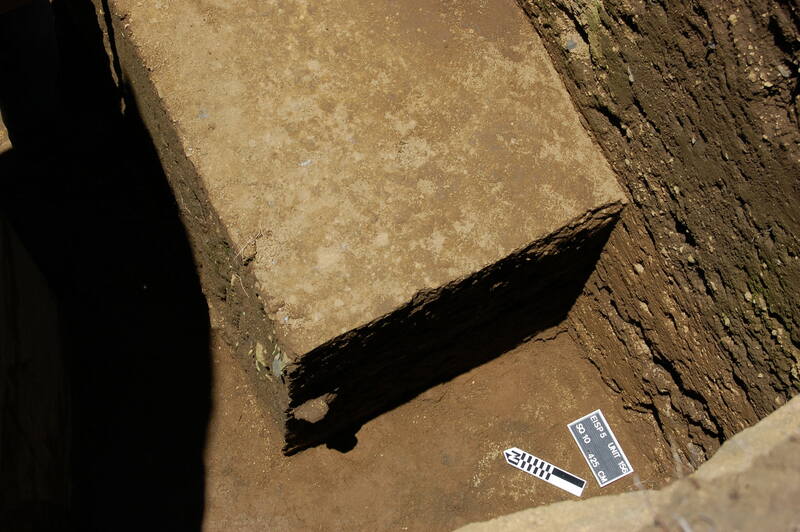 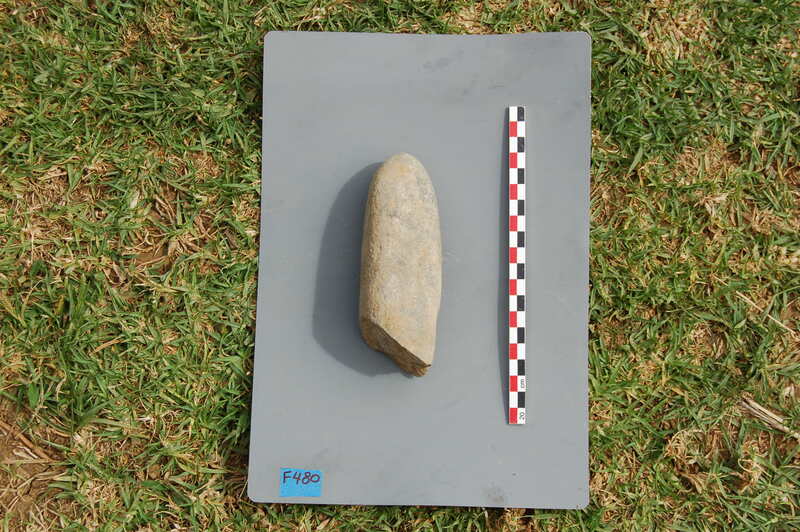 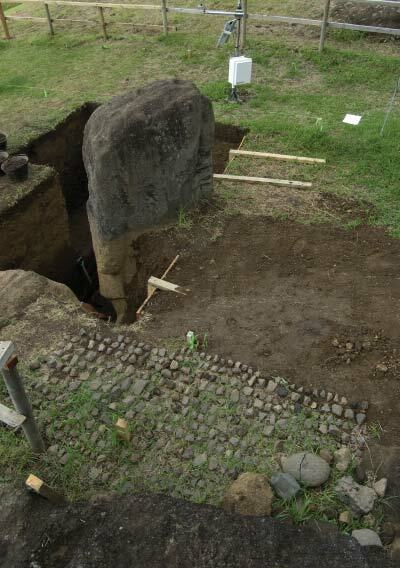 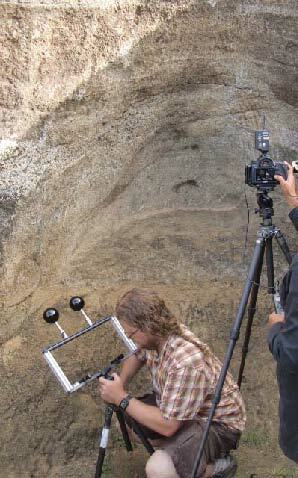 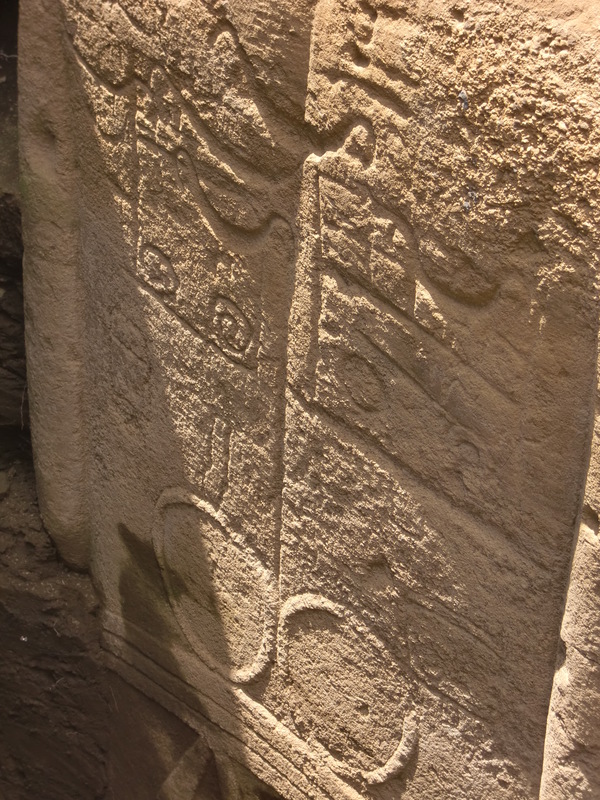 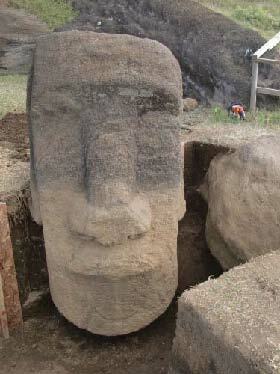 Jo Anne Van Tilburg and Cristián Arévalo Pakarati have accomplished an archaeological survey and inventory of the monolithic stone sculpture (moai) of Rapa Nui. 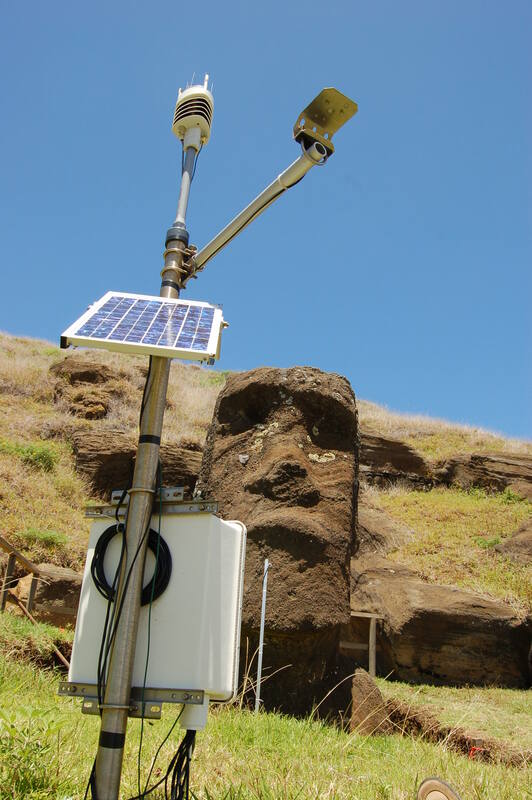 To date, we have accounted for 1,300 monolithic sculptural objects within the island-wide survey sections, in museum collections, and within the Rano Raraku quarry zone, including complete (as opposed to intact) statues, heads, torsos, fragments, shaped block. 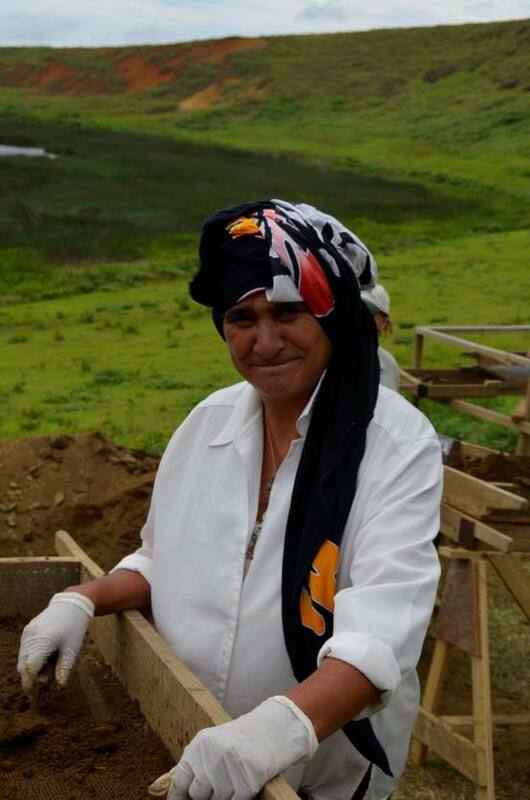 The latter are considered to be evidence of human activity in the form of incomplete or abandoned projects elucidating energy investment. 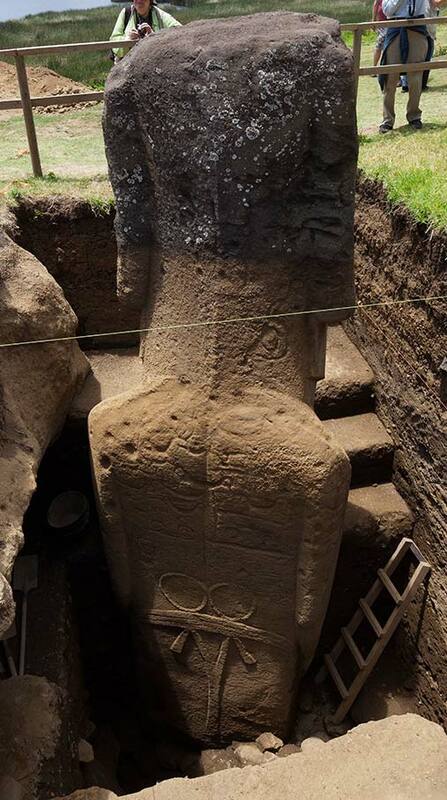 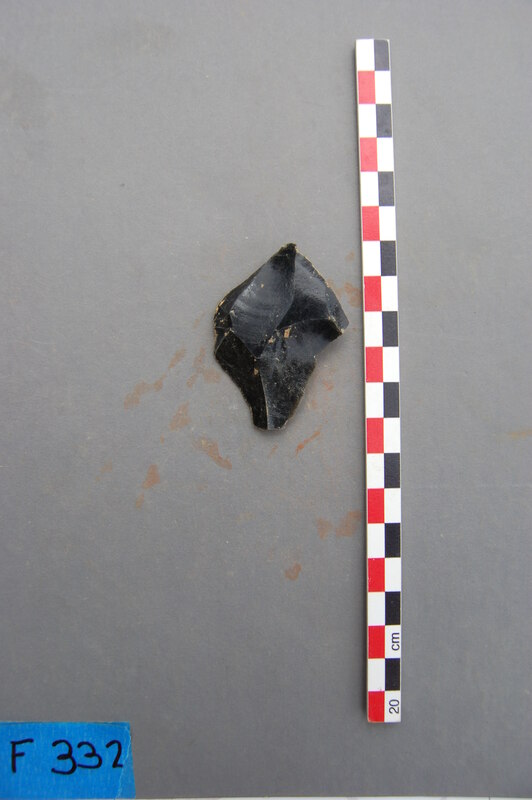 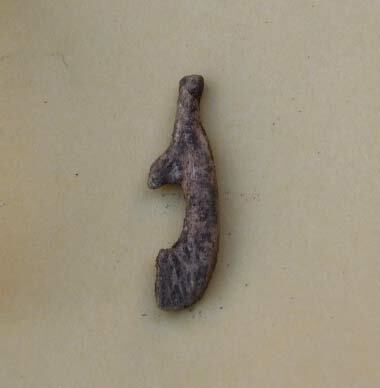 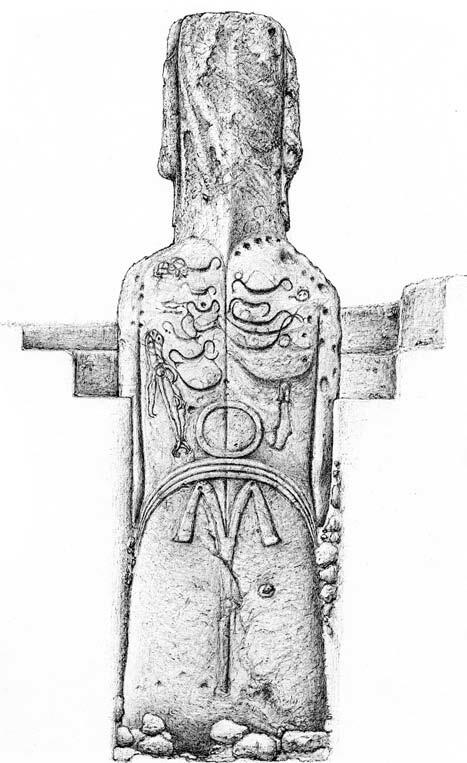 The most recent object entered into our collaborative on-line database (DATASHARE) is a red stone torso submitted by Enrique Tucki M. of the Oficina Provincial, the Corporación Nacional Forestal (CONAF). 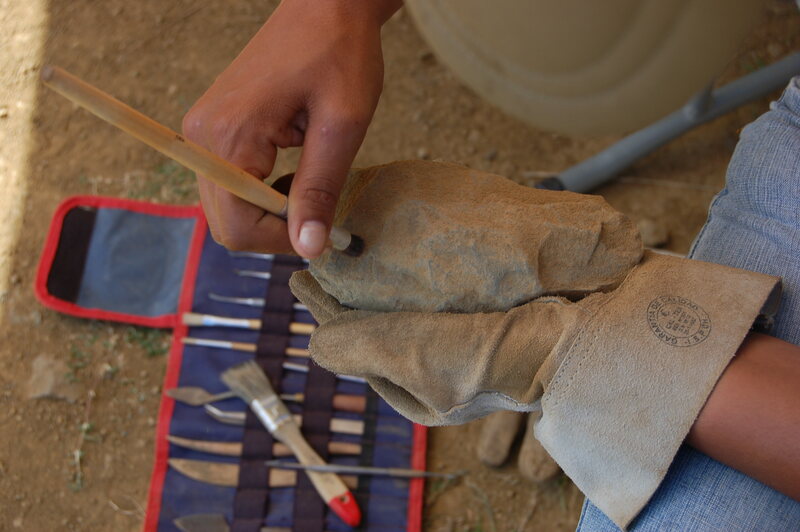 Dr. Van Tilburg has contributed a chapter to the book Finding Solutions for Protecting and Sharing Archaeological Heritage Resources. 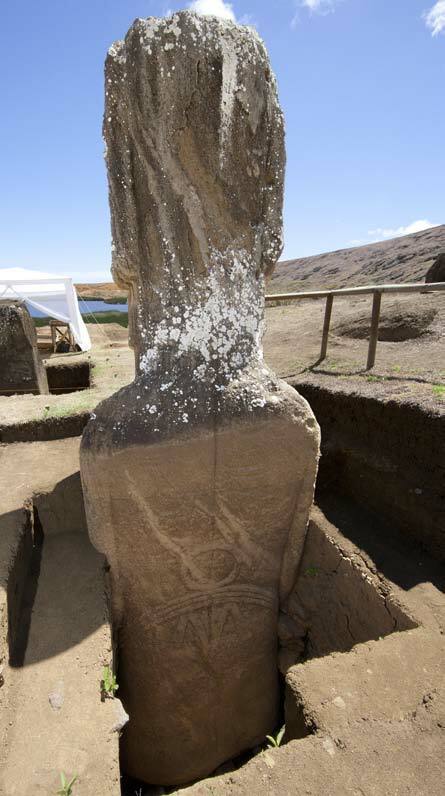 The chapter, entitled “Seeking Solutions: An Archaeological Approach to Conservation of a Threatened Heritage on Rapa Nui (Easter Island)” was co-authored with Christian Fischer, Mónica Bahamondez Prieto and Cristián Arévalo Pakarati.